Royal Caribbean's Freedom of the Seas is headed to drydock to begin her 24-day ship-wide refurbishment tomorrow. The ship is headed to Freeport, Bahamas to have work done on the ship that will consist of cleaning up the entire ship as well as add new facilities and options for guests. 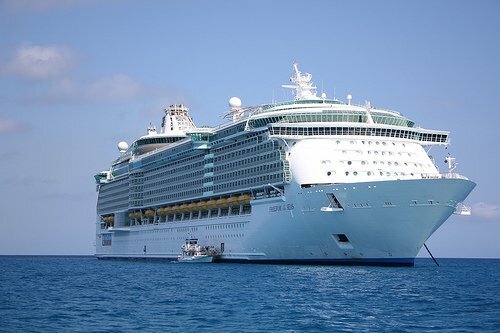 UPDATE: Royal Caribbean has announced a list of changes coming to Freedom of the Seas. Royal Caribbean has been tight lipped on what exactly will change on Freedom of the Seas, but it's safe to say the major propulsion problem that has been plaguing the ship will be fixed. Some of the work has already begun on the ship even before it left for dry dock. Carpeting and other areas of the ship were quietly worked on during a quick 2-night cruise that ended today. Many Royal Caribbean fans have been speculating on other changes coming based on what other Royal Caribbean ships have had as well as information crew members on Freedom of the Seas have told passengers that they've heard. Rumors are generally regarding new specialty restaurants coming to Freedom of the Seas, including potentially Giovanni's Table, Izumi and Sabor Modern Mexican. There's also rumors of a new Diamond Member lounge and Concierge lounge.